Today, let me show you how easy it is to get FREE BUYER TRAFFIC and build a BUYERS LIST at the same time, without sweating it out on creating products. And rest assured, there will be no affiliate recruiting for this to work… They will come on their own, in time. Sounds weird if you look at the headline of this article, right? Once you have your product(s) and sales page(s) ready, it’s time to set-up your PRODUCTS and list your OFFER on Warrior Plus. You will be able to hit a button from there to ACTIVATE AFFILIATES. WARNING: DO NOT focus on finding affiliates… They will eventually come to you! The goal here is to launch as many offers you can and grab the marketplace traffic. But the more you launch these little offers, the more affiliates will sign-up and the more they will send you free traffic. Ideally, you should launch one of these offers every week or 2 weeks and before you know it, you will have a ‘Buyers’ list of 500 – 1,000 subscribers in 1 year from now! Getting affiliates can be a hard task, but not if they come to you, right? – Problem solved, just push content, they will come! By using PLRs as your foundation, you can do this in a record breaking time! This can be a good exercise for you to see if you like internet marketing. And as time goes by, you will be able to do like me and create your own products from scratch real fast. 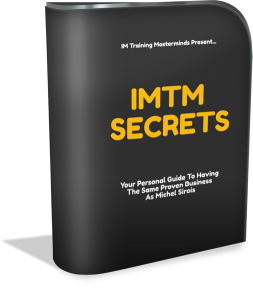 It’s easier than you think to make money online nowadays… and the ‘little launch model’ I reveal here is not the only way to get there. 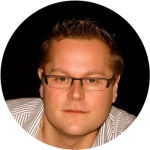 However, to get FREE traffic, build a FREE ‘Buyers’ list that you can scale-up, the ‘little launch model’ is easy to do. *** If you understand, you just need to create 12 little sales funnels as explained above, per year, to make 1 little launch every 2 weeks, for 1 year straight. *** And guess what… You could be using the same products, same sales pages, over and over, year after year if you have 12 little sales funnels, and just change the names of the products and no one will even notice. The reason for that is because from Warrior Plus to JV Zoo To Click Bank, the buyers are different people and in time, the buyers also change. If you are to make efforts on making a product, might as well pull all you can from it, would you agree? *** Just never re-email your buyers with your repeat offers. But if you do quick math, lets say each time you release an offer, you get on average 10-20 sales… X 24 offers = 240-500 ‘QUALIFIED BUYERS’ on your email list, in less than 1 year! BOOM! = PRICELESS!!! 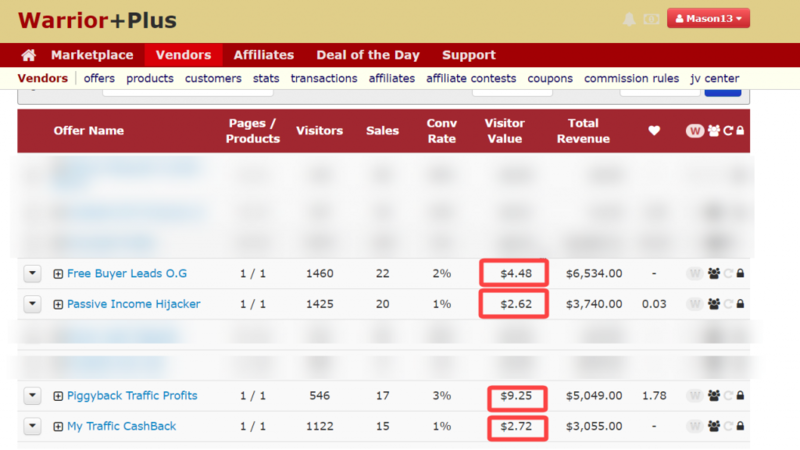 And when I launch my own offers: Each Click Is Worth $4.48 To $9.25, Total Profit Of $18,378 With 4 Offers – BOOM! And that’s the power of a ‘Buyers’ list! Glad I shed some light on a hack that 99.99% experimented marketers use daily!